London: 10th November 2016 – The shortlist of films for the 2016 TriForce Short Film Festival (TFSFF) has been announced at an exclusive launch at the BFI. This morning TFSFF also announces the four finalist films which have been selected by a panel of industry stalwarts including Nicholas Pinnock, Sanjeev Bhaskar and Shiver’s Alex Gardiner and will be screened at the red carpet Gala at BAFTA on 3rd December. The 16 shortlisted films for this year were revealed at an industry gathering at the BFI Stephen Street following the UK premiere sceening of Jessica Oyelowo’s much anticipated directorial debut ‘After The Storm’ starring Gugu Mbatha-Raw (Belle). The TFSFF shortlisted films feature even more recognisable names with Cillian Murphy (Peaky Blinders, Inception) and Tom Conti (Shirley Valentine) both featuring. Written and directed by Stuart Gatt, The Dead Sea tells the story of Emmanuel and Olu who after almost reaching Europe by boat, are returned to Libya and incarcerated in one of its infamous migrant detention centres. The film was conceived by Gatt in the height of the Refugee Crisis in the summer of 2015. He had been researching reports by Medicines Sans Frontieres into these abuses and felt compelled to show the reality of the experiences of those returned to the Libyan camps resulting in this stunning film. Stuart Gatt is an award winning British Filmmaker of Indian descent whose films are often influenced by current social themes. From writer Haley Bishop and director Alasdair MacKay comes a story about how light can be found in even the darkest of times. When Elijah is diagnosed with a brain tumour, his best friends are determined that he sees the Northern Lights. However, as he becomes aware of how much they are willing to do for him, the harsh reality of the situation soon reveals itself. Dr Shahid Kamal’s Take the Chocolate is a sweet, compelling short featuring a two year old girl who is determined to make a friend in the waiting room of a Dr’s surgery. Examining the way children approach one another which is often lost in adulthood, the film is written and directed by Dr Kamal and jointly produced by Dr Kamal and Rajesh Rajilal. 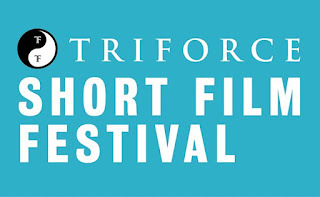 Celebrating its fifth year, the TriForce Short Film Festival, was set up with a focus on recognizing and supporting emerging diverse talent and to help film-makers access opportunities to further their careers. The 16 shortlisted films are screened at BAFTA to an audience of peers and key industry representatives, with the winning film-makers earning career development prizes as well as a cash prize to contribute to their next project. As in previous years the competition has showcased the diverse range of UK filmmaking talent with a high number of BAME and female producers, directors, cast and crew across all the shortlisted films. TFSFF, which is a career development focused initiative, has also secured a number of high profile companies and organisations as partners for this year’s festival, including Broadcast, Channel 4, Creative Skillset, Sharp House, Shiver, MAMA Youth Project, BECTU, Shine Media, Hiive, Shorts TV, Directors UK, HitFilm, Institute of Videographers, Miffy Moments and Baxter of California, who will be providing seminar speakers, prizes, opportunities and guidance to entrants and attendees, as well as sponsoring seminars, awards and the industry expo room at BAFTA.